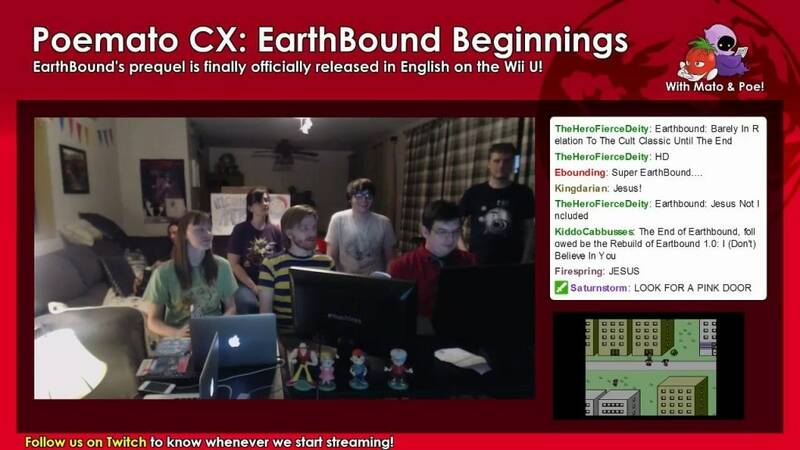 Earlier today, Poe and I held a special stream with a bunch of our fellow EarthBound fans – we played the new Lucas DLC for Super Smash Bros. Wii U and then moved over to the newly-announced EarthBound Beginnings! 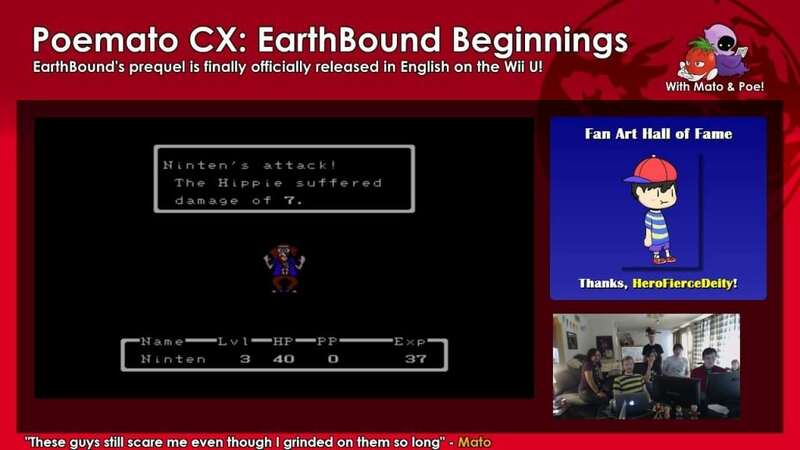 EarthBound Beginnings is basically EarthBound Zero, but now officially for sale on the Wii U in English! If you missed the live stream, I’ll have it on YouTube in the near future, but for now you can watch it all on our Twitch channel here! Thanks again for everyone who stopped by and shared all this EarthBound love with us! 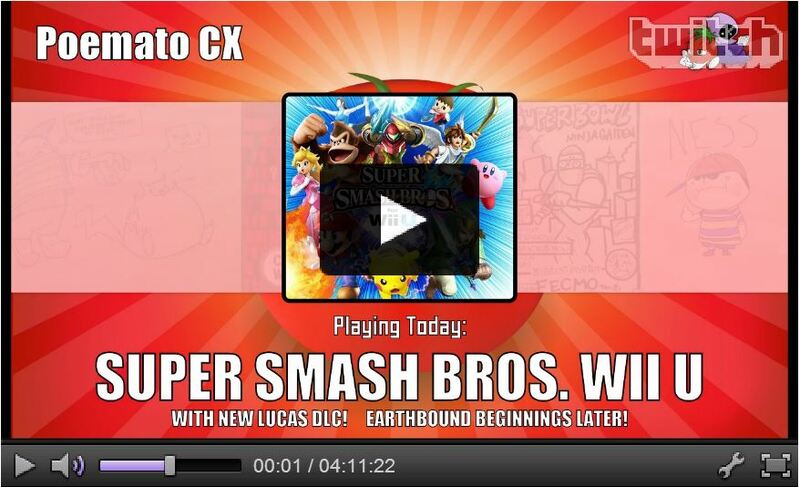 More news and details in future posts and in future EarthBound Central Live streams! 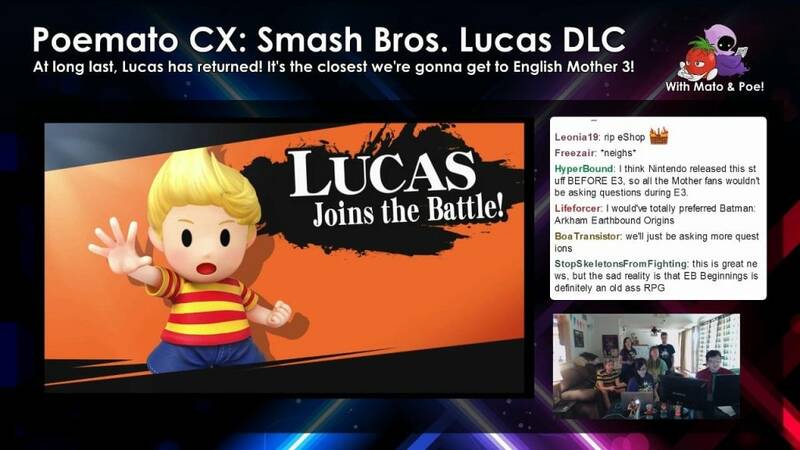 14 Comments to We Held a Special Lucas DLC & EarthBound Beginnings Stream! Didn’t catch the stream but goodness be gracious I’m still reeling from the news. I’m not even kidding: today, there was a rattlesnake in my backyard. there was a whole fiasco about it. And then, I come to check my Twitter feed to try to relax after we killed the snake. And what do I see…? FREAKING EBZERO IN THE USA. Guys, this day. I am NOT sleeping tonight, no matter how hard I try. Well, I think we can rule out any notion that Nintendo is going to “rename” the series to Mother in the U.S. with this release (they were making me wonder, what with all the references to “Mother” in the trophy/sticker descriptions in recent Smash games). Maybe it’s only called that outside the game itself, like how Super Mario Bros. 2 (Disc System version) on the eShop is called Lost Levels, even though the title screen says Super Mario Bros. 2. I expect that this game is basically the exact same prototype translated ROM they cancelled way back in the day, rather than an official new translation? Either way, this is entirely unexpected and very welcome. About time! Now, I want to temper some hope out there with a very important wrinkle. Mother 3 is the next logical release, and the most wanted one. (In fact, some people have taken this release as an insult, which is entirely unfair, don’t look a Trojan gift horse in the mouth people!) However, keep in mind that this release and Mother 3’s release are still light years apart from each other. 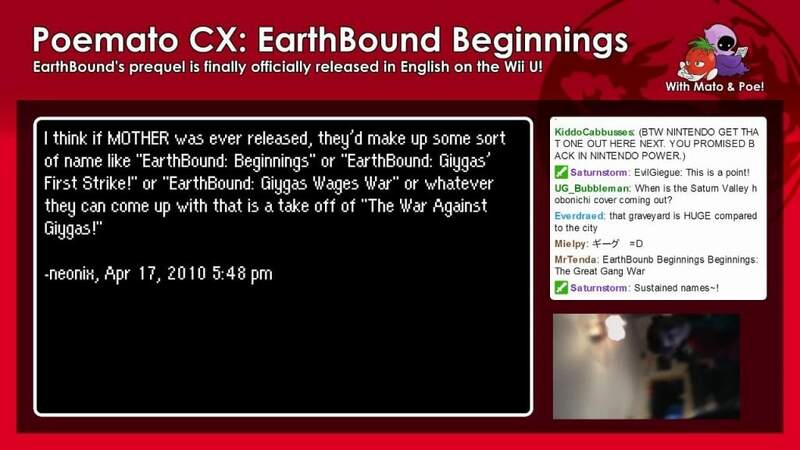 Earthbound was already translated, years ago, and so they didn’t need to change a thing on the ROM they already had. 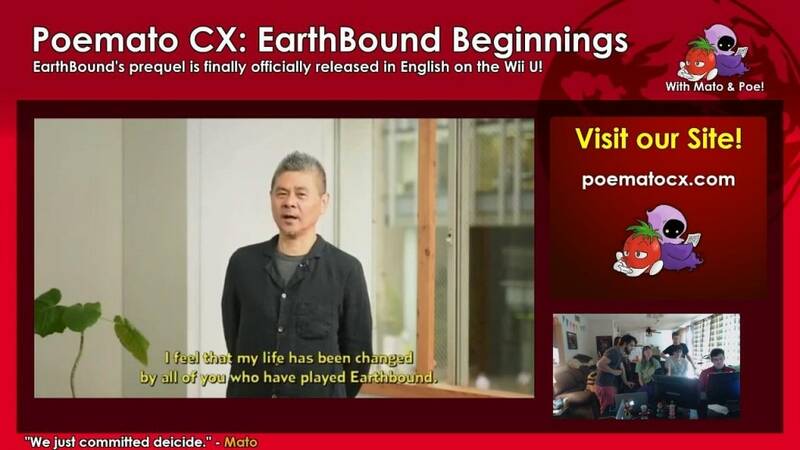 Mother 3 has never been translated, outside of a fan translation which they are unlikely to use. Basically, they’d be starting from scratch, even if they decided to use Mato’s english script. Especially considering things like how the initial naming screen glitches, they would want to actually modify the original source code instead of doing a ROM hack in order to get around that rather glaring initial bug. This brings up one very important concern. Does Brownie Brown (now called 1-up Studio) still even have Mother 3’s source code? One would think that of COURSE they would. However, considering some recent headaches caused by companies like Capcom and Konami failing to properly curate their own history, numerous port jobs have been utter failures. The Silent Hill HD release is notorious for it’s poor quality, and this all stems from Konami providing the porting company with a buggy beta revision of SH2, forcing them to reinvent the wheel and re-debug the whole game, as well as numerous detail just plain missing as whole assets would need to be recreated. Sometimes, a company will simply lose whole offices worth of old hard drives and so on. Grim Fandango is an interesting case where they’ve wanted to do a modern rerelease for years, but the original source code had been lost. They only recently managed to find an old hard drive with the complete source code on it, and even then it required a lot of work to get the data off that drive as it had nearly failed completely. When it comes to historical preservation, the video game industry is in a terrible state. It resembles the early movie industry, back when nobody was thinking about film preservation. Now, if we can assume they do have the source code, keep in mind that this would be a Virtual Console first, fully translating an unreleased game just for an emulated release. 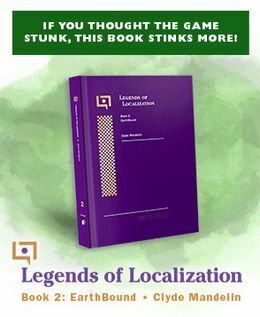 They’ve released Japan-only content, but have never bothered to actually translate any of those games (as such, they generally stick with games with either minimal dialog or are already in english, and this goes for the Playstation classics from Japan as well). This isn’t really a barrier so much as a general “rule” the company has set for themselves, but it does bear mentioning. Basically, once they take this step, it opens the flood gates for all manner of possible old ROM translations. I for one would love that (Official translations of Seiken Densetsu 3 and Sweet Home? YES! ), but they may not want to set the precedent and set unrealistic expectations going forward. Even then, consider that such a step would certainly raise expectations of any later Japan-only VC release. Even if it was just an overhead shooter with minimal text (or perhaps especially because of that) people would start criticizing each release for not being translated. “If you could translate Mother 3, why can’t you translate Neo Raiden X Crossbar Special +?” Bear this in mind, I’m not saying that’s a particularly compelling reason why this COULDN’T happen, but it IS a concern they’d have to address. All of this is just meant to say that an official Mother 3 release is still very complicated. Further, if they’ve got the original source code and are going to be modifying it to the degree they’d need to in order to release a translation, they might as well just go all-out and port the game to 3DS properly instead of just emulating it. In fact, they may be considering just that. Both of the Earthbound releases so far are basically just emulations of already-complete products, so they were pretty cheap to put up there, only requiring a testing cycle to make sure the emulator is working correctly with those games and some work on a digital manual, this is something else. Ultimately, what we may be looking at is a Mother trilogy set on 3DS, which is something I think we’d all love anyway. If they are going to go through the work of porting one game, why not port all 3? It’s the sort of thing Nintendo may just be considering, if and when they decide such a project is worth it. They would also be deciding that based on the Japanese market, because clearly any port job, even if it was just Mother 3, would be getting a “local” Japanese release as well. That might actually stymie it though, because as we all know Mother 3 wasn’t very well received in Japan. I am so freaking happy about this it’s unreal. Ah, my prophecy has finally been fulfilled. All bow to me. Oh, wow. That’s pretty amazing! And it’s about time. Also, interesting choice of name to go with. I like it. 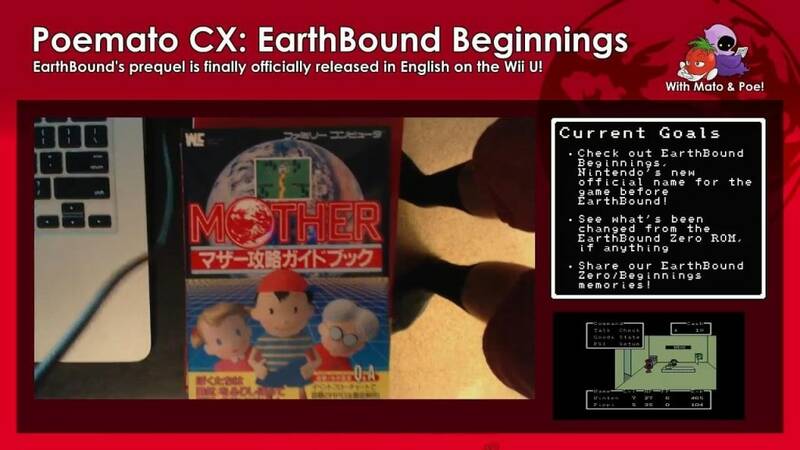 At the risk of sounding pedantic, though, Mother/Earth Bound Zero/EarthBound Beginnings is not a prequel to Mother 2/EarthBound. A prequel (a portmanteau of pre- and sequel) is a specific type of sequel that chronologically takes place before its predecessor. As in, for example, Star Wars Episode I is a prequel to the original Star Wars, but Star Wars is not a prequel to The Empire Strikes Back. Since Mother is obviously not a sequel to Mother 2, it can’t be a prequel to it. So back on topic: YES! Mother is finally getting an official release in the U.S.! That game is so underrated. Are you gonna talk about Earthbound beginnings?